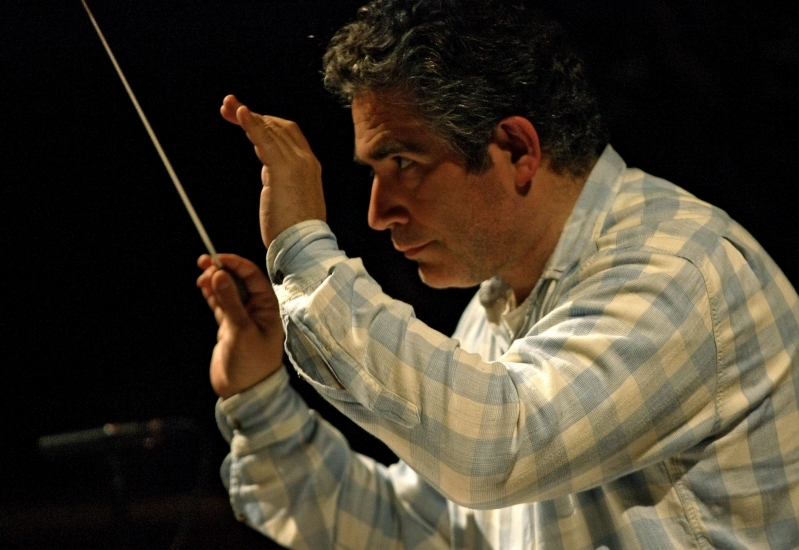 WNO’s Conductor Laureate, Carlo Rizzi returns to the International Concert Series at St David’s Hall, Cardiff for the first time since 2008, where he will conduct WNO Orchestra and soloist Alexander Sitkovetsky in a programme of late romantic masterpieces. The concert opens with Mendelssohn’s Hebrides Overture (Fingal’s Cave) which was inspired by a visit the composer made to the Scottish island of Staffa in 1829. It’s not known whether he actually set foot on the island, as the best view of the cave is actually from the sea, however he documented that he immediately noted down the opening themes for the composition. Then, following a rapturous reception to his performance with WNO Orchestra in Llandudno in May 2018, Alexander Sitkovetsky joins us in Cardiff. One of the world’s leading violinists, Alexander will be sure to awaken the scotch spirit in Bruch’s Scottish Fantasy, four movements based on Scottish folk-melodies, now among the composer’s most performed works. The second half of the concert features Rachmaninov’s ever-popular Symphony No 2. The work highlights Rachmaninov’s skills as a composer – his gift for melody, his skill as an orchestrator, his mastery of form and structure, and his enduring commitment to the late-Romantic style. Across four vast movements, Rachmaninov pulls out all the stops for a symphony whose irresistible appeal to audiences has endured to this day. Carlo says: To be back in St David's Hall with the WNO orchestra is, of course, a great pleasure for me. After 25 years of working together, we have come to know and understand each other at a deep level and the trust with which we rehearse and perform, whatever the repertoire, is something I really value and enjoy. This is an orchestra that is, of course, used to performing music at its most dramatic and the three pieces we are giving in this concert, are absolute masterpieces of emotional power, all with musical themes that surge and soar and wave over us, overwhelming us with feeling. I can imagine no better way to spend an afternoon, than to share this experience of live orchestral music, at its most beautiful and passionate, with a St David’s Hall audience. Please join us.